Situated in the heart of Bangkok, Studio Nana is 3 km from Patpong nightlife area. It offers comfortable rooms with air conditioning and the convenience of a 24-hour front desk. Free Wi-Fi is available in all areas. 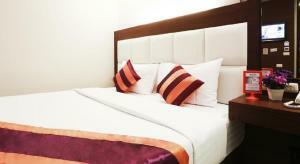 Studio Nana is 6.7 km from Khao San Road and 7.1 km from Grand Palace. Suvarnabhumi International Airport is 22 km away. Rooms at this hotel are provided with a flat-screen cable TV, a fridge and a safety box. 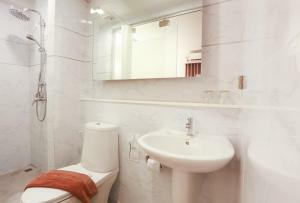 Featuring shower facilities, an en suite bathroom comes with free toiletries and a hairdryer. A wide range of cafés, bars and restaurants can be found in the neighbouring square and in the streets surrounding the property. Larger air-conditioned room features a flat-screen cable TV, a fridge and and a safety box. Featuring shower facilities, an en suite bathroom comes with free toiletries and a hairdryer. 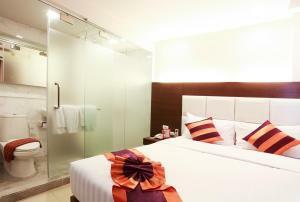 Largest air-conditioned room features a flat-screen cable TV, a fridge and and a safety box. 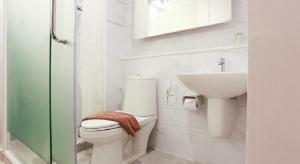 Featuring shower facilities, an en suite bathroom comes with free toiletries and a hairdryer.